Point is ,Whatever we want to include in diet , we should just include them as part of our meals and not to make it a sperate chore . For example here, I added flax seed meal to bhaji. 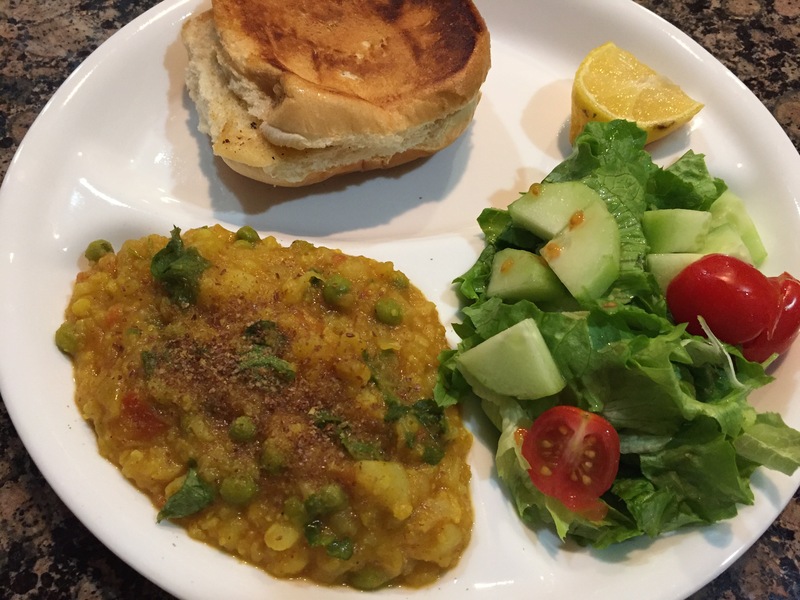 Do you see sprinkled powder on bhaji? I did that for the picture but you can just mix it into bhaji. Also I made huge salad to go with Pav bhaji and fresh lemon to squeeze on salad , bhaji which wil add some vitamin c. Salad has no dressing . I like it plain . Meal is so simple , isn’t it ?